My favourite newspaper stories are the ones that begin with the words “New research findings indicate that...”. Especially when the findings in question overturn previously held wisdom (which had, of course, been established by earlier research findings). For example, we’re now told that wine isn’t good for our health after all – it shrinks the part of the brain called the hippocampus, thus impairing the time-tested human ability to make intelligent decisions (such as naming a part of the brain “hippocampus”). The news item includes the following laugh-out-loud sentence: “The findings will come as a particular blow to middle-class drinkers, many of whom drink wine for its supposed health benefits.” Apparently people who used to wash down their daily vitamins with a bottle of Pinot aren’t feeling too good about themselves right now. I also remember another research finding from a few weeks ago, which stated that watching violent films or playing violent video games is good for people after all, because it gives them an outlet to expend negative energy, resulting in fewer real-world crimes. Think of all the millions Stanley Kubrick would have made if they had released this finding back in the 1970s, before A Clockwork Orange was banned. His estate should definitely sue. In a discovery that has left atheists and rationalists everywhere shamefaced, valuable documents have been released proving the literal truth of all religious myths. “Adam and Eve, the bridge-building monkeys, the ascent of Muhammed on his horse – yup, it all really happened,” said evangelist-turned-research head Jabber Wocky, “though probably not all at the same time or in the same places”. The bad news? Efforts to contact the Gods, superhuman beings caught up in the internal politics of their own parallel-universe, have revealed that they don’t care what becomes of puny mankind. Meanwhile, an astonishing and sacrilegious study claims that Hindus who eat beef are more likely to be true believers. The starting point for the research, funded by a missionary trust, was the rhetorical question: “Don’t Christians consume bread that symbolizes the body of Christ? So why wouldn’t the same logic apply to people who worship cows?” Subsequent reports have it that the local Shiv Sena is diverting part of its funds to the construction of abattoirs, though some members of the party are asking "Why bother? ", seeing that God doesn’t give a flying f*** either way. lol! send your resume to the onion!! 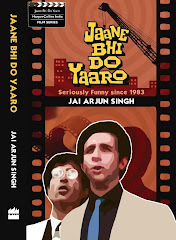 or probably start an Indian edition. 1. Excessive fishing in one particular area can lead to the decrease in fish population. 2. People who overeat are at a risk for obesity. some universities spent a lot of time and money to come up with these results. I should have become a research scientist!
" Research indicates that while kissing , heads of more than 70% couples tilt towards the right side"
Another research item I read recently - James Bond has a lesser risk of heart disease, since his martinis are shaken and not stirred!! Man! Who pays for such research anyway?? 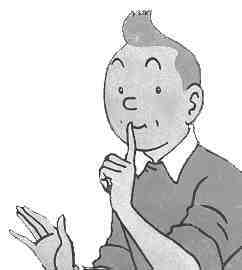 Ah, if only surviving as a research scientist at universities was as easy as tintin makes it sound...! Perhaps he is being humorous, but sometimes seemingly obvious studies are done to generate and facilitate hard data-based discussions and policy initiatives. What may be intuitive or obvious to an environmentalist or a health-care worker needs to be communicated in a no-nonsense manner to the policy-maker after defining, with numbers and units, concepts such as overfishing and overeating. Jai, a lot is lost in the translation (by the media) about research findings which are usually published (in peer-reviewed journals) with careful and nuanced discussions. Most responsible researchers, at the risk of being thought of as boring, will take the trouble to emphasize limitations. But the reporter will pick up the sound-bytes or the buzz words or will frame the article only to reflect the latest in wishful thinking before moving onto his next big story. I am a researcher; my husband is a journalist--I know what I am talking about. When my husband has a quick question for me in the midst of his article-writing, I have the capacity to go on for hours; he starts fidgeting after 5 minutes! Luckily most researchers and reporters are unrelated, and too polite, to throw fireworks and choice words at each other like we do at our home. And really you mustn't deny modern day researchers the incredible power of balancing the economy that they've acquired. I mean without today's research how would we ever get industries like the wine and chocolate sector to grow beyond their rational limits of saturation. And how would we ever ensure that the nasty tomato farmers don't go on to take over the world expect by suggesting that tomatoes might give you more cancer than all the questionable input that goes into the average cigarette and maharaja mac? And one day, "Regular Breathing leads to 100% chance of being alive. Researchers found that people who breathe had a 100% chance of being alive....". Seriously, this was a long time grouse of mine and you captured it well. Hilarious ! Only think we can be sure of it research findings should be taken with a pinch of salt or rather will they find a pinch of salt in the long run will be fatal ! As John Keynes quipped in the long run everyone will be dead. Grrr..... you have no right to hurt so many faces.You spoiled my work-out for today. Aww, just as I was about to start drinkig wine, too!How about chocolate? Do say the latest research shows it's a miracle food! Dear Jai: I would sincerely suggest you take up a job supplying weekly research findings to newspapers. I am sure that most of the research findings are provided by a top class secret team supplying inane logical findings. I am sure there is a crack esionage team with all newspapers , whose people raid nondescript laboratories throughout the world for these kind of research stories. A wonderful case study for the likes of Mossad and CIA. what happened to the full link?